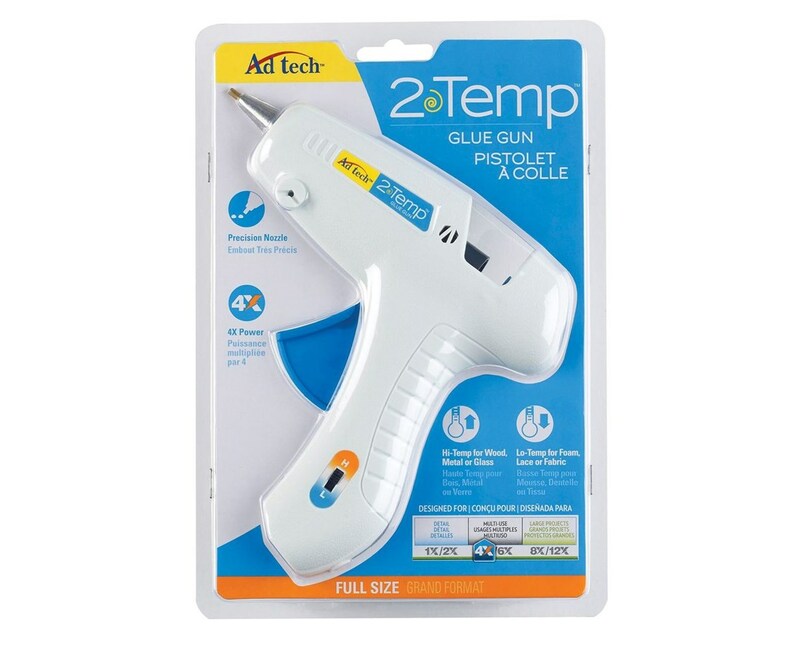 The Ad Tech 2 Temp Full Size Glue Gun offers the versatility and efficiency of two guns in one. 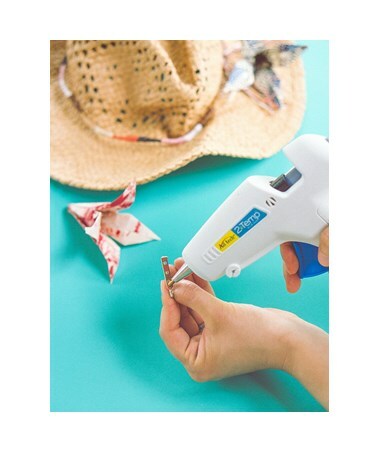 It features a low and high temperature option switch that allows easy setting of the right temperature for any crafting, detailed work, and DIY project. 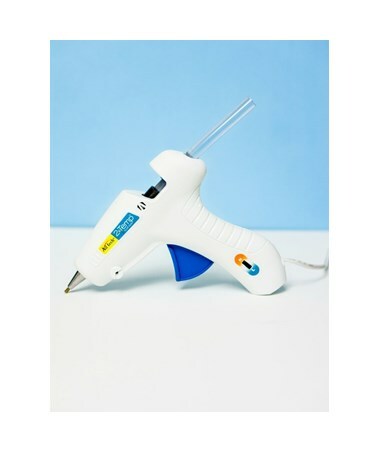 Use high temperature for wood, metal, or glass and low temperature for delicate and heat-sensitive materials such as fabric, paper, and foam. 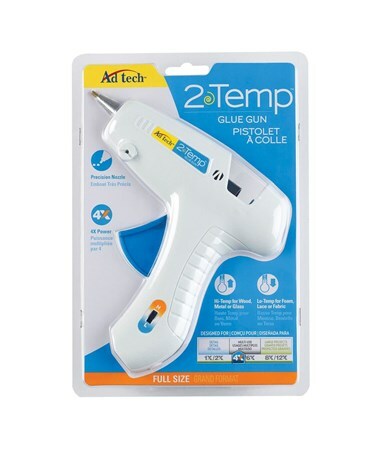 The Ad Tech 2 Temp Full Size Glue Gun is a full size glue gun that provides longer glue lines for larger projects. It uses 0.44-inch diameter Ad Tech glue sticks. 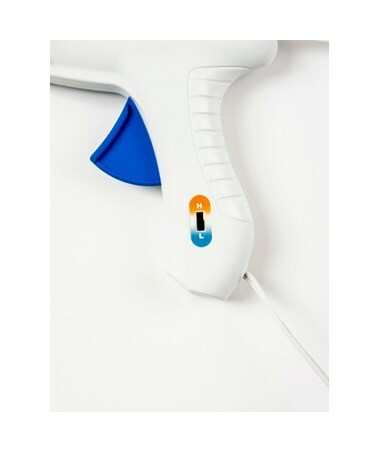 With a five-foot removable cord (120V), it can be used to apply glue on hard to reach places. It works up to five minutes with detached cord. It operates at 40 watts and is equipped with energy-saving design that reduces energy demand once its already hot. With a power-on light indicator, it is safe to use.